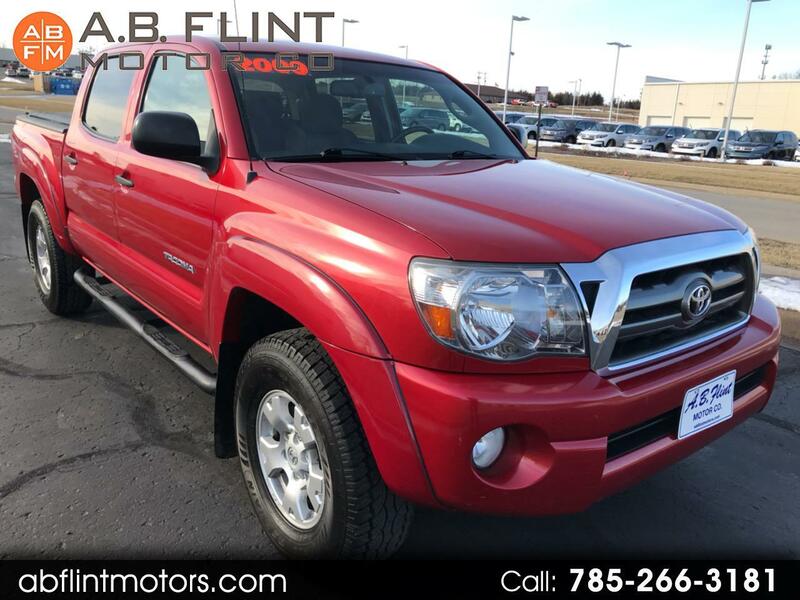 Used 2009 Toyota Tacoma 4WD TRD Off Road Double Cab 5' Bed V6 MT (Natl) for Sale in kansas city mo 64119 A B Flint Motor Co.
Beautiful 2009 Toyota Tacoma SR5 Crew Cab 4x4 with TRD Off Road Pkg.... 100% ready to drive home today with a ton of money still in your pocket. Excellent condition both inside and out, you won't be disappointed by the way it looks, drives and handles. The interior is smoke-free and clean, exterior looks like new. Serviced/inspected and is 100% ready to drive home today. Plus it comes with a 6 month 6000 mile 100% guarantee! Message: Thought you might be interested in this 2009 Toyota Tacoma 4WD.